A Global Positioning System satellite launched in March is suffering from permanent signal distortions and will miss its target to enter operational service this year, Air Force officials said. The GPS 2R-20 satellite, built by Lockheed Martin Corp., is being kept from service because of signal distortions that are degrading the accuracy of its navigation measurements. Officials said in June the problems could be fixed in time for the satellite to be introduced into the GPS fleet by this fall, but now the Air Force says the craft won't be ready until at least next year. "The satellite's signal distortion is permanent, and if brought into operational service its impact on users would be variable and application-specific," said a Global Positioning Systems Wing spokesperson at the Air Force Space and Missile Systems Center. There are 30 operational GPS satellites in space today, circling Earth in orbits more than 12,500 miles high and inclined about 55 degrees to the equator. The fleet is divided into six planes to provide uniform global coverage. Only four satellites in each plane, a total of 24 spacecraft are needed for uninterrupted service. "The GPS constellation is the strongest it has ever been, allowing the Air Force time to focus on a long-term solution with minimal impact to users. We expect ongoing efforts to bring the satellite into operations to run well into 2010," the SMC spokesperson said in a written statement. Launched in March, the spacecraft was the first GPS platform to host the L5 demonstration payload for the civil aviation industry. The L5 instrumentation was installed on an auxiliary port on the satellite, and that interface is causing the signal interference, officials said earlier this year. 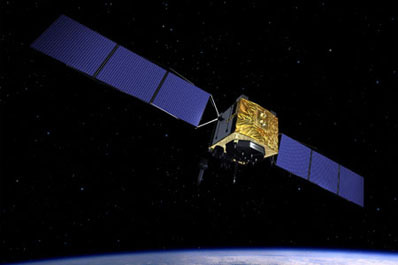 The L5 payload was added to GPS 2R-20 to meet an August deadline imposed by the International Telecommunications Union, which oversees radio frequency filings for satellites. Engineers believe the trouble is specific to GPS 2R-20 because the L5 signal will be attached to a different interface on the next-generation GPS 2F series of satellites. The L5 instrument was also not on the GPS 2R-21 satellite launched in August. That spacecraft was put into service two weeks after arriving in space. The next GPS satellite launch is scheduled for next June, when the Air Force will send the first of GPS 2F series craft into orbit on a Delta 4 booster. That mission was recently delayed from February due to the unavailability of a rocket and launch manifest constraints, according to the Air Force. Earlier this year, the Government Accountability Office published a report saying the GPS program faces reductions in service due to delays of the GPS 2F program and schedule uncertainty on the long-term replacement fleet, called the GPS 3A program. GPS 3A satellites are now slated to begin launching in 2014. 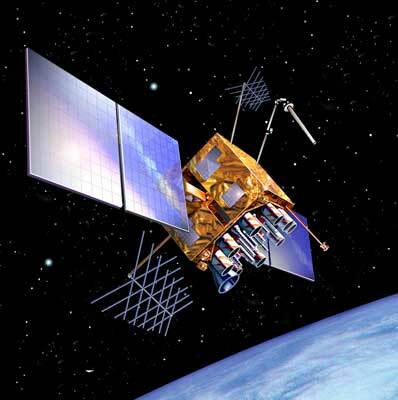 "The current GPS constellation has the most satellites and the greatest capability ever. We are committed to maintaining our current level of service, as well as striving to improve service and capability through on-going modernization efforts," a GPS Wing spokesperson said. The Air Force says there will be no negative impacts on services for GPS customers, which include both military and civilian users. "The U.S Air Force and Air Force Space Command have been the diligent stewards of GPS since its conception in the 1970s and continue its commitment to this critical component of our National Infrastructure," a GPS Wing spokesperson said. "The Air Force will continue to pursue an achievable path maintaining GPS as the premier provider of positioning, navigation and timing for military and civilian users around the world," officials said.